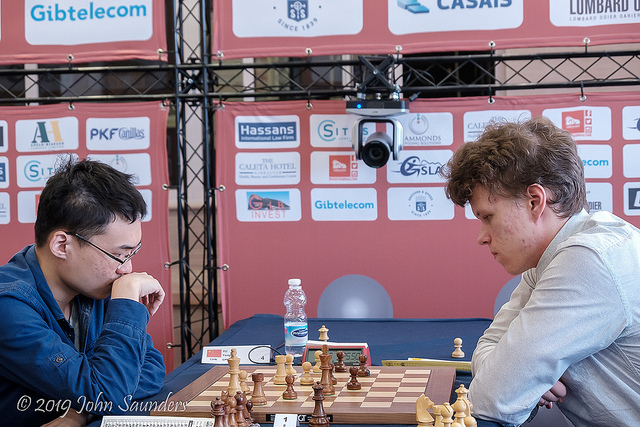 20-year-old Vladislav Artemiev beat Yu Yangyi with Black in the final round to complete a stunning triumph in the 2019 Gibraltar Masters. His 8.5/10, 2941 performance earned him £25,000 and 27.4 rating points as he soared to world no. 20. 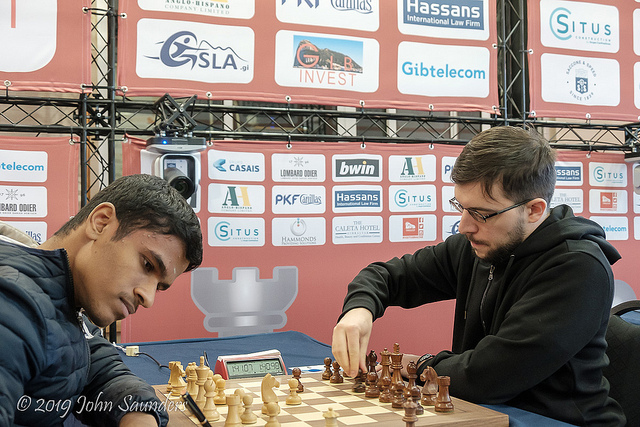 Elsewhere it was a day of the underdogs as David Howell beat Levon Aronian with Black and 19-year-old Karthikeyan Murali from India took the £20,000 2nd prize by smoothly outplaying top seed Maxime Vachier-Lagrave. Tan Zhongyi snatched the £15,000 women’s top prize with victory over GM Aleksandar Indjic. Yeah, he’s good. He has a very good natural feel for the game, which is great in blitz. I think he’s legit. His speed chess skills meant there was no reason for Artemiev to fear anyone in a speed chess tiebreak, so that with a half-point lead over the field he admitted he would have been fine with a draw in the final game. 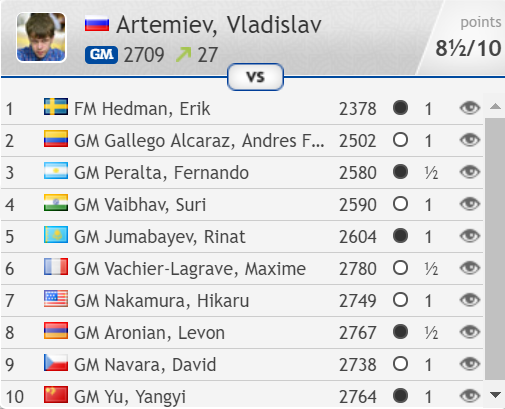 Artemiev had won a pawn and he made no mistake after the time control as he took home victory in 52 moves. 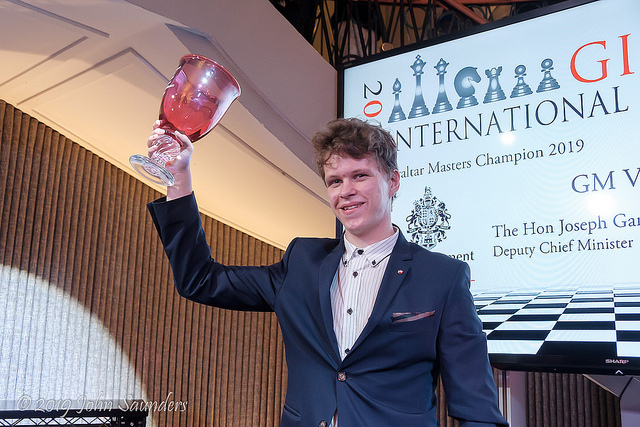 It had been a magnificent tournament for the 20-year-old, who recently got married and said he and his wife plan to celebrate with dinner back in Kazan, Russian, “maybe with music”. His upcoming plans include playing for Russia in the World Team Championship (March 5-14), while he hopes to get a chance to qualify for the Candidates Tournament via the World Cup. He’s also now hoping for some of the invitations that his play merits – on the live rating list he’s now overtaken Jan-Krzysztof Duda and Wei Yi, so there’s no-one younger and higher rated above him. 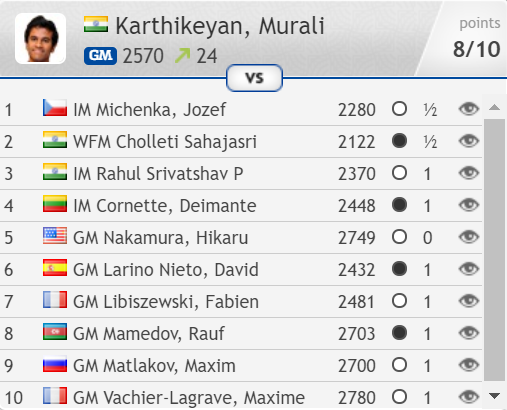 And I see that Maxime is dead lost… he was a bit worse early on, but you don’t expect him just to go down in flames… I’ve liked [Karthikeyan’s] game for a while – a good, solid player, but you don’t expect him just to outplay Maxime like this, so it’s very, very impressive. I found out at 10:20 this morning that I was playing Black against Lev - not a nice surprise! When you’re playing against one of the greatest attacking players of this generation, when he’s sitting there across the board, looking super-confident, it’s nerve-wracking. …and of Hikaru Nakamura, who didn’t seem entirely convinced by Aronian’s play! It made me double check all my variations, because Hikaru’s face if I blundered - that would not be a pretty sight! …and went on to draw. Wesley So finally won a game, against Bogdan-Daniel Deac, but he didn’t sound thrilled at the prospect of playing more opens: “Hopefully not! I never gain points in open events.” He was at least happy to have escaped the bone-chillingly cold polar vortex in Minnesota! I had this year too many women – five from ten it’s too much! 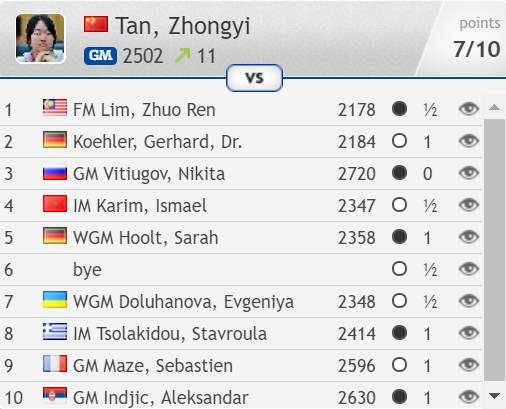 Three players went into the final round leading the women's rankings on 6/9: the Muzychuk sisters and Tan Zhongyi. 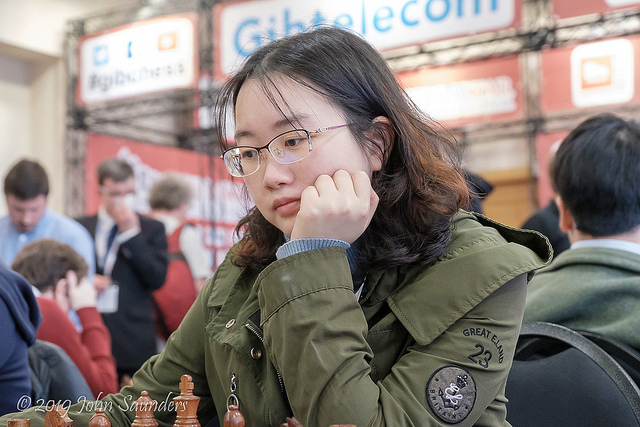 In the end it was the Chinese former Women’s World Champion who took the £15,000 first prize, after following up a win against GM Sebastien Maze by beating Aleksandar Indjic. The Serbian grandmaster was punished for overpressing in a drawish ending. The 74th seed had finished in 22nd place, which means she’ll also claim some prize money from the overall pot. It was a win, but 70…Rc1! was the only move to do it here, while after 70…Ke2 Mariya managed to hold in 88 moves. That escape earned her the £10,000 women’s 2nd prize. ...but the good news is it's a Chess Bundesliga weekend, so plenty of stars will be in action on Saturday and Sunday. 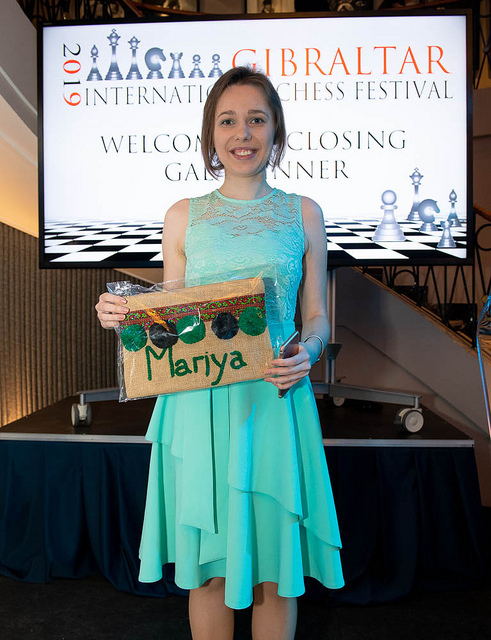 The Cairns Cup, a new women's supertournament, starts in St. Louis on Wednesday, and you can check out more upcoming events in our 2019 Chess Calendar.